The Occupational Safety and Health Administration (OSHA), as part of the U.S. Department of Labor, has set clear guidelines for stacking materials in a warehouse. Businesses of all sizes regularly stack products and containers on top of each other to make more room in a storage facility. Employees may manually stack some of these items or they may use a forklift or crane to move larger items. These regulations are meant to protect workers and anyone else who might be in the storage facility. 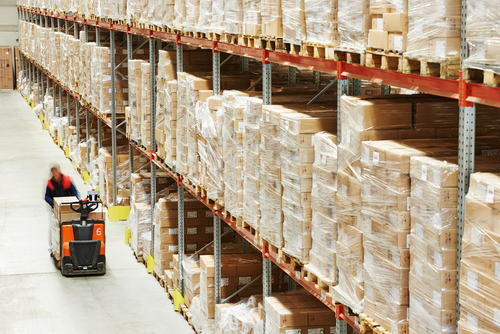 If items are stacked improperly, they could fall and injure a worker. Learn more about OSHA’s regulations for stacking bulk storage containers. As a business owner, it’s important that you understand these regulations in order to keep your employees safe. If an employee gets injured on the job due to your negligence, it could lead to a costly fine or lawsuit. Accidents like these can even be fatal, which could ruin your company’s reputation for years to come. They can also lower the morale of your team. These accidents are often preventable and learning about these regulations can help you avoid them. It is your duty to provide a safe working environment for your team. Once you learn the guidelines, make sure your team is up-to-date on this information. These guidelines should be a crucial part of your company’s training program, including anyone who may be asked to stack or work with bulk storage containers. According to the regulations, stacked lumber must be no more than 16 feet high if it is handled manually or no more than 20 feet high if your employees are using a forklift. You must ensure that your storage containers are placed on a level surface. Every stack should be stable and properly supported. If you’re storing pipes and longer items that tend to slide, do not store them in stack racks that face the main aisle as one of them could slip out when opening the container, injuring the person below. Bags and bundles should be stacked in interlocking rows. Drums and barrels should be stacked symmetrically. Block the sides of barrels and drums if you’re stacking them on their side so they don’t roll around your facility. Use pallets in between rows of drums to prevent them from shifting around and potentially falling over. Put signs around your storage facility to remind your workers of stacking height limitations. If you use stack racks for storage, label them based on stacking height limitations and how much weight they can hold. This information should always be legible and easily accessible around your facility. 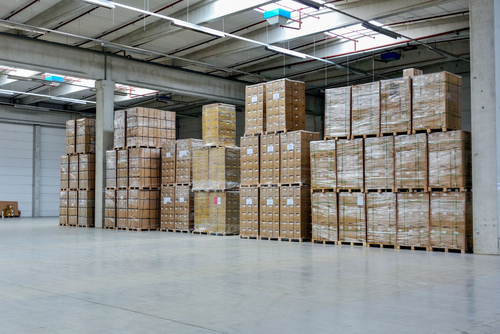 Based on these recommendations, you’ll need to invest in some quality shipping and storage materials to make sure your facility complies with the law. You probably already have some of these materials around your facility–it’s just a matter of using them properly. As the regulations make clear, you need to use pallets when moving and storing drums or barrels. You can use wooden or plastic pallets depending on what you need to store in your facility. Pallets are always a great choice when it comes to moving large items. Your employees can easily use a forklift to move these items when they’re attached to a pallet. If you’re shipping large items, you may even want to wrap up the container with the pallet so they won’t get separated. Make sure all your pallets are level and secure before using them in your facility. If you’re stacking pallets around your facility when they’re not in use, make sure you never stack pallets of different sizes on top of each other. You should also never stack pallets on their sides. It’s best to store unused pallets on stack racks so the stack will be stable. Stack racks are the perfect storage solution for any warehouse. They can hold plenty of weight, making them a great choice for industrial storage facilities. Make sure you know the weight limitations of your stack racks before installing them in your facility and make this information known to your employees. 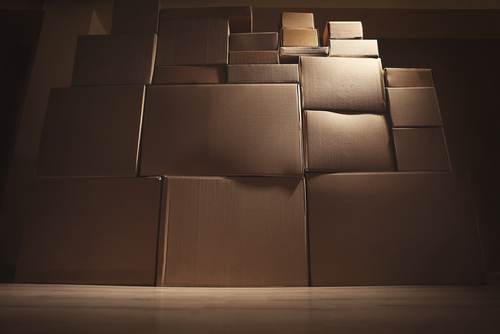 Stacking items and materials is a fundamental part of almost every business. Research these regulations so you can keep your employees safe. One mistake or lack of information could easily spell disaster. Start reading and share your knowledge with your team today.